You will enjoy an entertaining traditional Belly dance and Tanura show by female and Male performers as well. 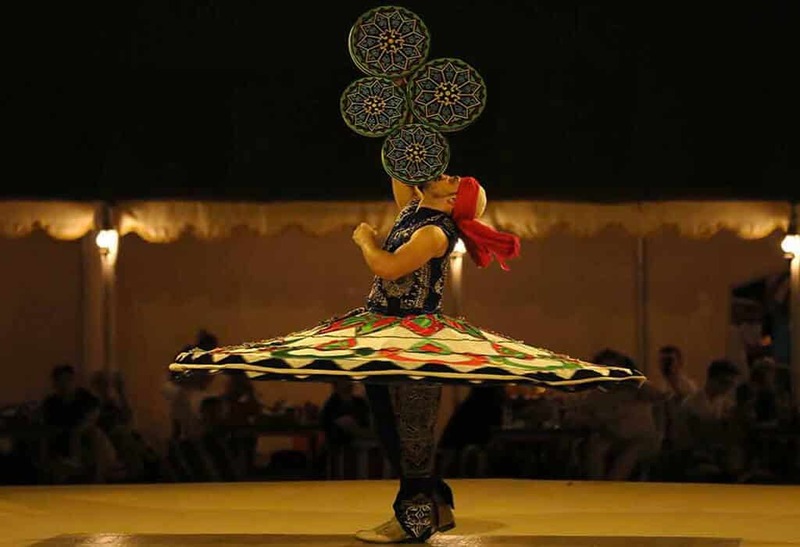 You will also enjoy Camel ride, Fire Show, Henna Painting, Hubbly Bubbly (Shisha the famous Arabic water pipe), Arabic Coffee (Qahwa), Tea, Dates and Snacks, Traditional Costumes for photography (Arabian Dressing), Complimentary soft drinks, mineral water, Delicious Buffet BBQ Dinner (veg and non-veg), Children’s playing area and Separate washroom for ladies & gents. 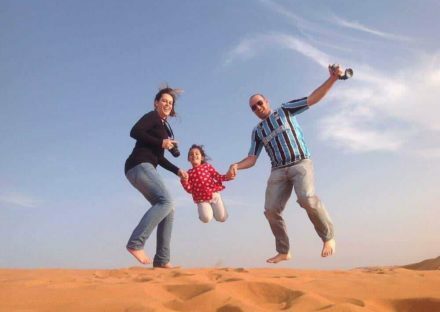 You will also experience Soothing and appealing views where you can snap your beautiful memories, the heavenly scenery of sunset photography and a lot of other fun. 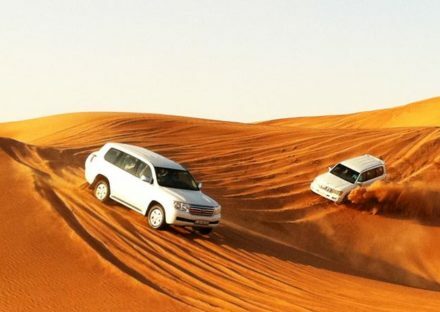 If you want to fully enjoy your trip to Dubai then you must go for the adventurous Dubai Desert Safari Tour where you will be exploring the different side of Dubai – from thrilling safari ride on 4×4 Land Cruiser through high and low sand dunes in the Arabian deserts. 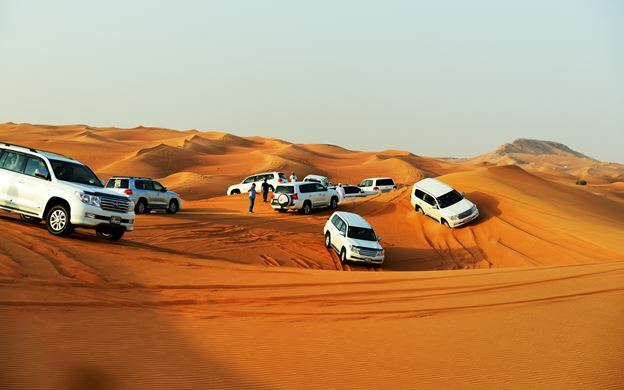 To enjoy this experience book Dubai Desert Safari Tour Package today with Dubai Tour Services, where our tour operators and guides will make your safari tour full of adventure and excitement. We Provide free pick and drop in Dubai, Sharjah, and Ajman. The entire service is provided by professional staff with complete safety guidance and best customer service. Children under 7 years will get approximately 20 percent discount. 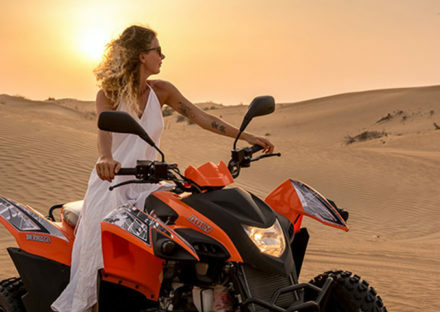 AVT Quad Bike ride is optional and with the booking of Desert Safari Dubai tour, a 50% discount will apply. Add an Exciting Atv Quad Bike Ride at 50% discounted rates for 75 Aed only if booked with desert safari package. Child under 7 years is discounted 20%. 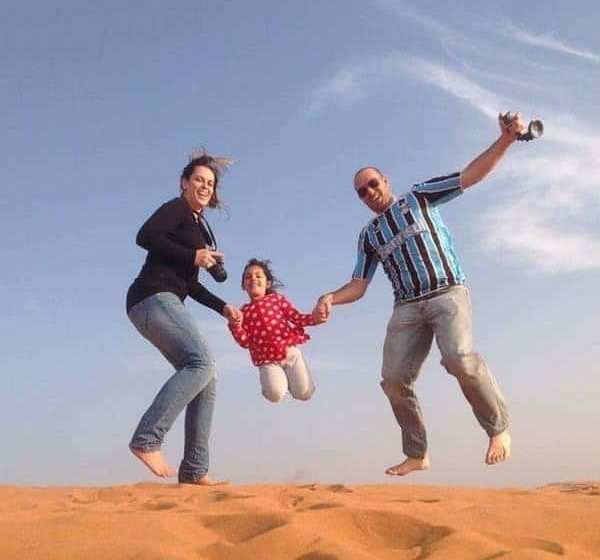 I really appreciate you guys made our trip fabulous, the guide was informative and friendly, The desert safari ride was adventures and lil scary 😀 I and my family enjoyed, Thanks Dubai tour services. 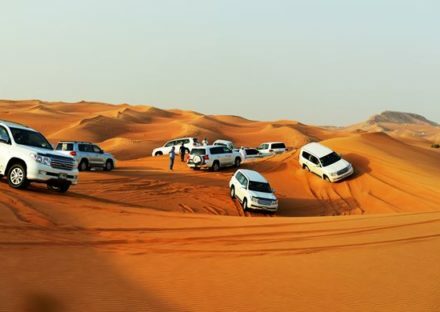 Amazing sand dune bashing ride, our guide was excellent he was very pleasant and helpful, live shows were great and dinner too, only caution – there is pressure to purchase something at one of the shops. we had to be firm and say “no” if not interested. 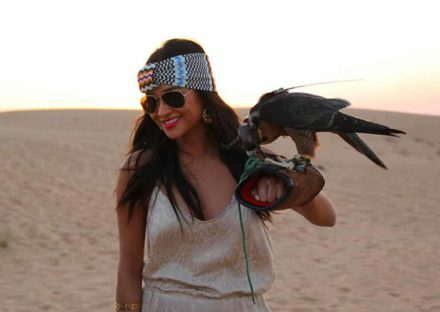 Had an amazing time in Dubai! Loved the city, Had a great experience at Safari, the desert, Camel ride, belly dancing, and Shisha, fire dance and the delicious food. Loved Ferrari world, had a blast on the rides, so much fun will do it all again. Jumeriah beach and surrounding was amazing. Palm Atlantis that’s an awesome water park, the views of the city, the beach along side. The Sheikh Zayed Mosque was breath taking, Such beauty. The malls make you feel like the fashion world is endless. Dubai leaves you speechless, words cannot explain the experience I had. Spectacular from the buildings, beaches, the malls, and the people. Just beautiful. 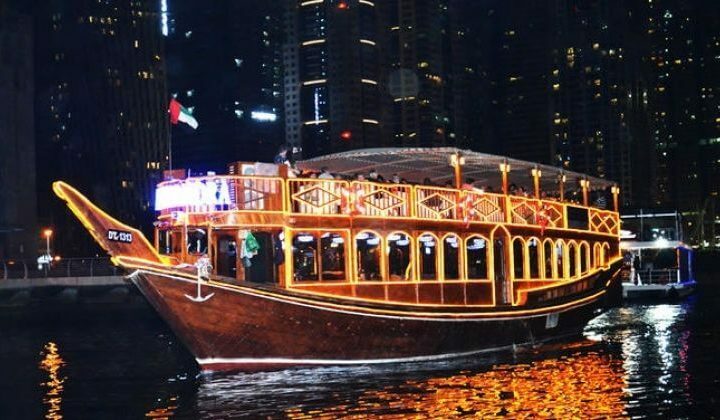 I love Dubai. My daughter arranged this tour for us with Desert Safari Dubai. Our driver Meher was an friendly and informative. we had a great time. Only 5 of us in the car, we were picked up at our hotel. We drove to the quad bike/supermarket and then into the dunes. Thrilling ride with music and photos stops. Sand boarding was fun and then off to the Campsite. Only downside was the rain but the food was lovely crispy salads with falafel. chicken and lamb from the bbq. 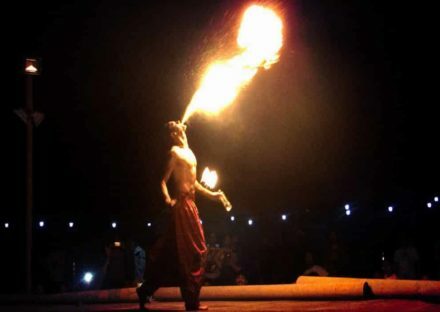 Entertainment was good with a belly dance and fire show. Had a henna tattoo and short camel ride as well. Good value for money. a lovely evening were back around 9:30pm to our hotel.